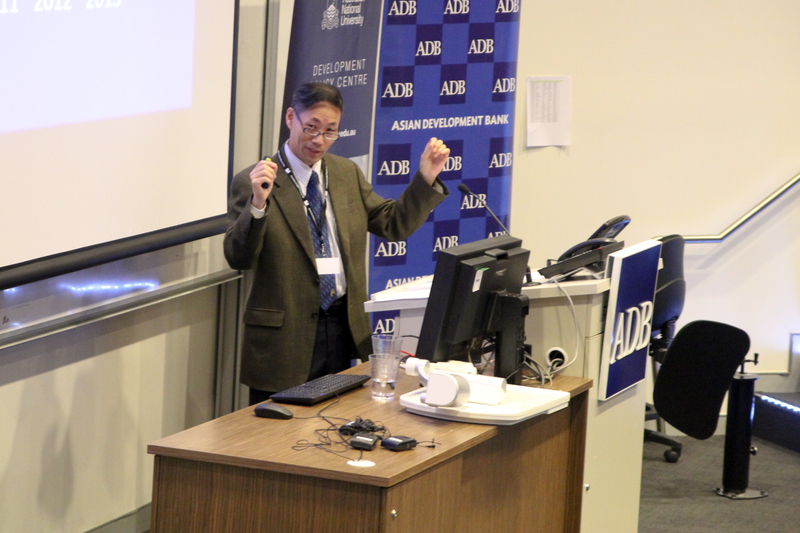 Yongzheng Yang is the Resident Representative for Pacific Island Countries at the International Monetary Fund. This is a copy of the Keynote address he delivered at the 2014 Pacific Update. Why discuss growth issues for this talk? You might wonder why I have chosen economic growth as my topic today. The reason is very simple. Over the past four years while I have been working in the Pacific, how to increase economic growth is probably the most frequently asked question by policy makers in Pacific Island Countries (PICs). In fact, many governments and central banks in the region have been under considerable pressure to boost economic growth and create jobs, especially for young people. How have PICs fared in terms of growth performance? Another reason that PIC policy makers are focusing on growth is that growth has been sluggish in most PICs in recent years. In some countries, real income growth has barely kept pace with population growth, so per capita income has been stagnating. What is also concerning is that growth in most PICs has been slowing over time. (See Figure 1). This is in sharp contrast with the low-income country group, which has seen higher growth over time. The past three years have seen an improvement in the average growth of PICs, but this trend is due to the strong GDP growth in mineral resource-rich PICs, namely Papua New Guinea and the Solomon Islands. As you can see from the next graph, once these two countries are taken out, non-resource-rich PICs have suffered a continuous decline in growth over the past three years. Why have PICs without mineral resources been growing more slowly, especially in the past decade or so? You may already be wondering why growth in non-resource-rich PICs has fallen behind that of other countries. I don’t think there is a conclusive explanation for this yet, but I will make the following observations. Geographic location, combined with small size, is becoming an increasingly important determinant of growth. 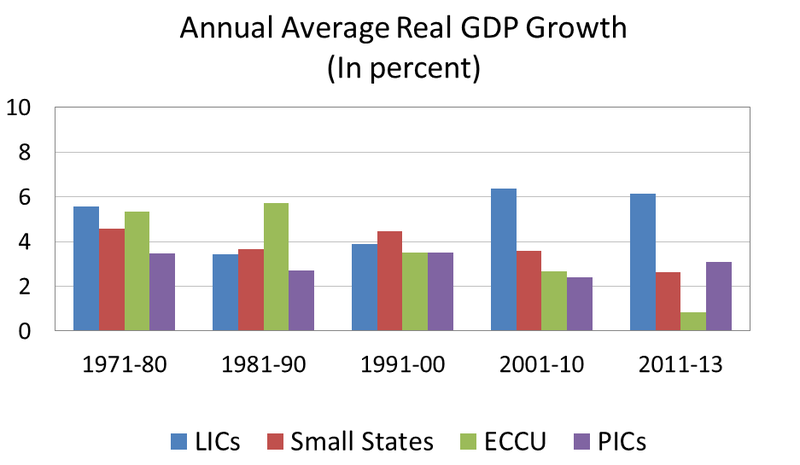 Recent empirical work shows that remoteness may have reduced the PICs’ per capita GDP growth over the past two decades by 1½ percentage points compared with other small states. This is a very large number compared with the 0.7 percent per capita growth that PICs actually achieved over this period. In other words, PICs’ per capita GDP growth could have been three times their actual growth during this period had they not been hampered by geographical disadvantages. But why have remoteness and country size seemed to have become more important? My hypothesis is that being small and remote often leads to marginalization in a world of increasing regionalism. For example, none of the PICs is part of any free trade arrangement in Asia and the North Pacific, except PNG, which is an APEC member and happens to be quite large and less remote. Moreover, being small and remote means that a country is more likely to be left out of global supply chains. Perhaps partly in response to the aforementioned marginalization, PICs have turned to regional integration among themselves, but this does not seem to have helped very much because of low trade complementarity among PICs—most PICs produce very similar products. 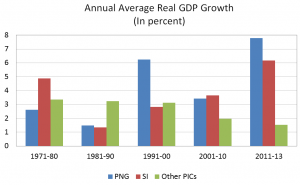 Even if the PICs’ economies were complementary, they collectively constitute a very small market—the total population of PICs is only slightly over 10 million and 70 percent of that is accounted for by PNG. Of course, there are important additional factors that have affected PICs’ growth performance. Let me now turn to some of these more policy-related factors in explaining PICs’ slow growth. One factor that I think is important is delayed or slow reform in areas that are vital to overcoming PICs’ disadvantages arising from smallness and remoteness—telecom and transportation are two good examples. Smallness and remoteness are partly to blame for relatively expensive telecom and transportation services due to diseconomies of scale, but slow progress in introducing competition in these two sectors has meant that service costs remain high. State monopoly was able to continue until recently, and in some PICs monopoly remains today. Although growth constraints vary from country to country, two other common issues stand out: relatively weak property rights and poorly performing public enterprises. The former is most prominently related to the use of customary land. Uncertainty over land tenures often affects investment both directly and indirectly. Directly, investors sometimes find it difficult to access land for economic activities such as establishing a farm or building a hotel. The indirect impact arises from difficulties in using customary land as collateral to secure bank loans. At the macroeconomic level, there is a competitiveness issue arising from policy settings. Most PICs have a pegged exchange rate regime, and several have experienced significant real appreciation of their currencies over the past decade. 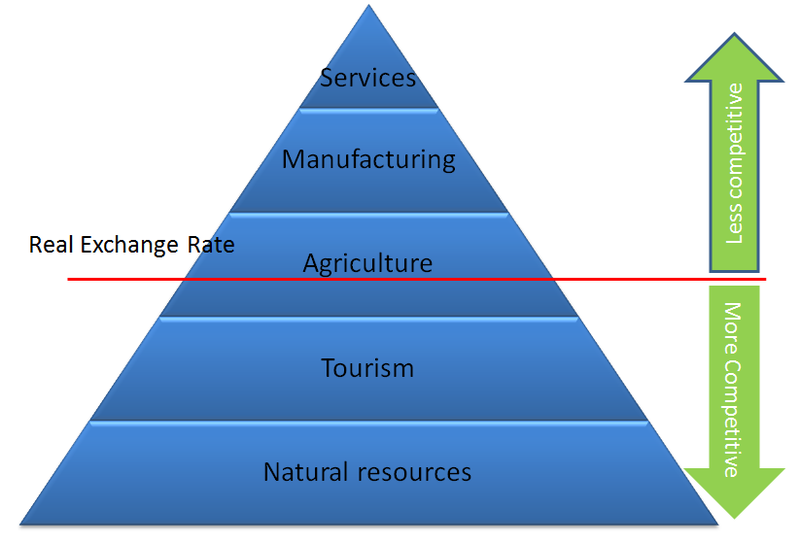 These appreciating exchange rates may have contributed to the weak competitiveness of agriculture and tourism in some PICs. Is there a Pacific model of growth? Given the difficult challenges that have arisen from PICs’ smallness and remoteness, one might ask if there is a particular model of growth that would help PICs mitigate their disadvantages. If there is indeed such a model, it would help PICs concentrate their resources and reform efforts to support this model. Standard thinking on economic growth is that countries will go through industrialization—that is, moving from primary activities to manufacturing and high value-added services. Most economists would agree that because of their small domestic economies, PICs cannot pursue such a strategy. Instead, they need to find export industries and foreign exchange-earning activities that can serve the role of primary industries and manufacturing in larger countries. 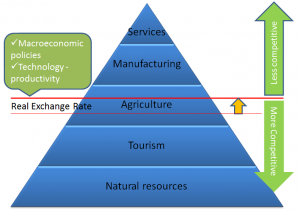 In the current global economic juncture, my view is that PICs’ most promising opportunities are in the following broad sectors: resources (minerals and fisheries), tourism, and agriculture. The rankings of these sectors are largely based on revealed comparative advantage. I am generalizing these rankings quite a bit; the order I listed in the graph may not be true for every country. What can be done to turn comparative advantage into growth-driving export industries? A key challenge here is that apart from the mineral resource sector, comparative advantage may not be enough for PICs to substantially expand tourism and agricultural exports. Many of you are aware of the work done by Allan Winters and Pedro Martins on the high cost structure of key export industries in small states. Winters and Martins found that small states, especially those defined as micro-states—countries that have a population of less than 200k—suffer large cost disadvantages because of the lack of economies of scale and the high cost of transportation. The industries that they found small states have cost disadvantages in include clothing and electronics, but they also include tourism, for which we often think PICs have a strong comparative advantage! So how can we turn comparative advantage into absolute advantage, which would mean PICs producing and exporting at a lower cost than their competitors? Broadly speaking, there are only two ways to do so: through a more competitive exchange rate and though productivity improvement that is faster than that of competitors. So how can exchange rate policy help? In theory, it’s very simple. A more depreciated local currency allows local exporters to earn more in local currency. However, a more depreciated local currency also means higher inflation as PICs have high import dependency. This would at least partially offset the competitiveness gains from exchange rate depreciation. Overall, in terms of the Pacific Pyramid, this means that we move the exchange rate line up to allow more exports to be profitable. There is limited empirical research on how effective exchange rate policy is in improving competitiveness in the Pacific. However, there is some anecdotal evidence suggesting that exchange rate policy does work, at least in some cases. 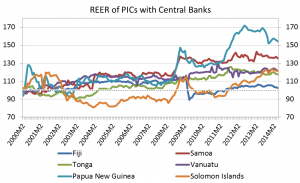 The 2009 devaluation in Fiji did seem to boost tourism as well as compress imports and alleviate the balance of payment pressure. Farmers in Tonga responded extremely well to favorable overseas prices for squash pumpkins in the 1990s and recent years. Now let me turn to how to improve productivity to increase competitiveness. On this front, PICs seem to have performed rather poorly. There is not a lot of empirical work done to support this claim. However, if we look at the relatively slow GDP growth over time and compare that with labor force growth and investment, it is evident that productivity growth in PICs has been slow. When we talk about policies to increase productivity, we often focus on how to improve the business environment, such as making progress on doing business indicators compiled by the World Bank. There is no doubt that reforms in these areas are critical, but I am not going to talk about them here. Instead, I will focus on how PICs should strategically position themselves in a changing global environment, particularly in the context of the emergence of Asia as a global economic center. Improving productivity is not confined to reducing production costs of existing goods and services. It is perhaps more important to be able to shift to the production of new products and services. Such a shift would require innovation in technology and management. This is critical in the case of PICs. Take taro exports, for example. At the moment, most taro exports are going to Australia, New Zealand and the United States, but the demand is limited because the consumers are largely Pacific diasporas. Any one PIC’s increase in exports is often at the expense of other PICs’. But can PICs expand taro exports to Asian markets? As far as I know, certain types of taro are part of Chinese and Japanese cuisines. If PICs could produce these types of taro, they could open potentially large markets. Similarly, I also wonder if PICs could produce herbal medicines that are in high demand in Asia. I am merely using taro and herbal medicines as examples to make the point that PICs need to think outside the box and find their niche markets in Asia. Some countries are making progress, and one good example of this is Samoa’s nonu exports to China. In general, PICs need to diversify into other higher value-added products and into emerging markets in Asia. These markets are even more promising for tourism development in PICs. Australia and New Zealand will remain the dominant sources of tourist arrivals in PICs for the foreseeable future, but if we take a look at the Asian markets, the potential for PICs’ tourism is huge. 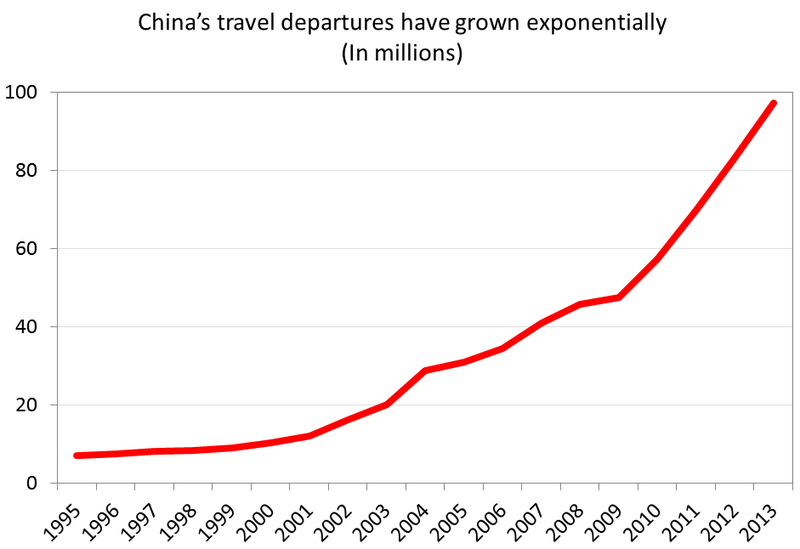 Last year, there were nearly 100 million departures for overseas tourism from China alone. At the moment, PICs pick up less than 1/10 of 1 percent of these total departures. Of course, this does not mean that Chinese tourists will naturally come to PICs over time just because there are so many of them. Marketing will be important, as will be improvement in connectivity and tourist infrastructure and services. 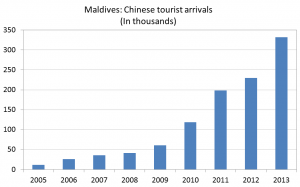 The Maldives provides a good example of how a small island country can attract a large number of Chinese tourists. 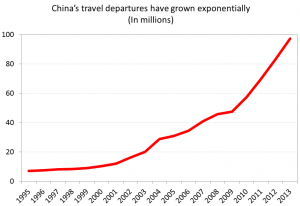 In just 8 years, Chinese tourist arrivals increased from 12,000 in 2005 to 332,000 in 2013. 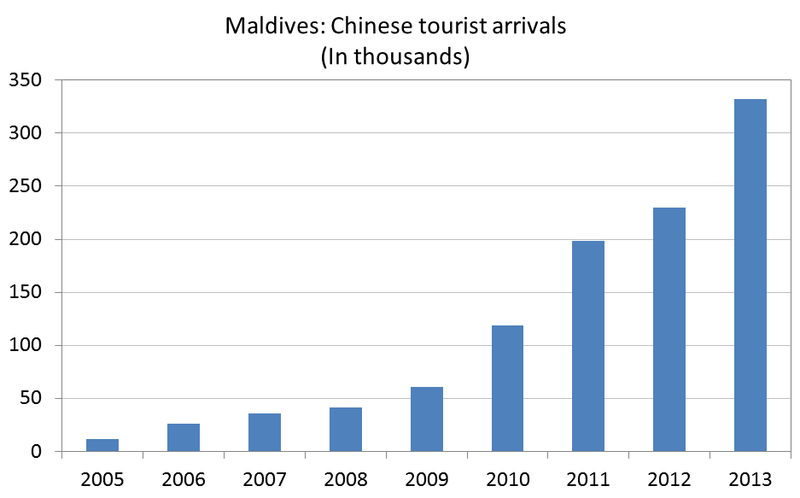 Chinese tourists are now the largest group in the Maldives, accounting for about 1/3 of total arrivals. Expansion of tourism should also help agriculture in PICs. Right now, one of the biggest hurdles for exporting agricultural products to overseas markets is high transport costs. Tourism increases in PICs would mean that local producers could export more to hospitality industries without incurring international transport costs. In fact, there could be considerable synergies between agriculture and tourism. 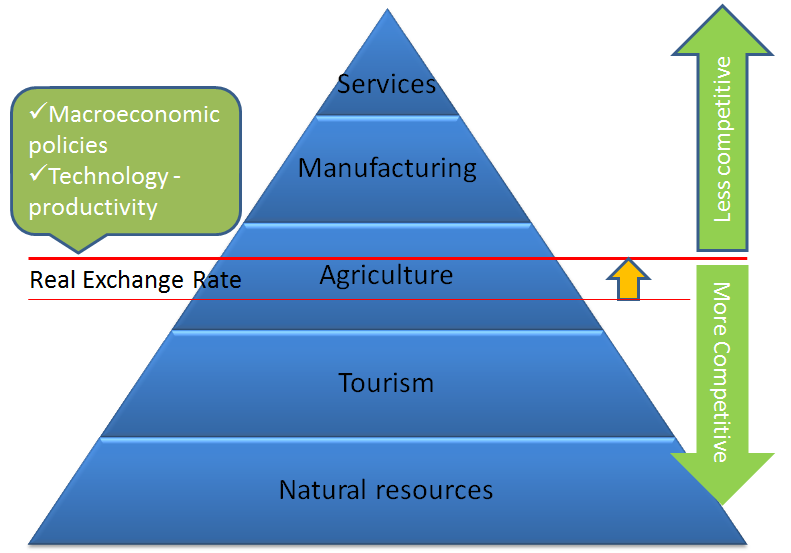 Improvement in agricultural supply would also enhance the competitiveness of the tourism industry. I am mindful that not every PIC has the prospects for increasing tourism and agricultural exports in the short run, whether to traditional markets or Asia. Some of these PICs simply don’t have the infrastructure to accommodate large numbers of tourists, and it would take years to build the necessary infrastructure. Fortunately for these countries, they have something else that they can focus on. Countries such as Tuvalu, Kiribati, Micronesia and the Marshall Islands all have abundant marine resources, particularly tuna. 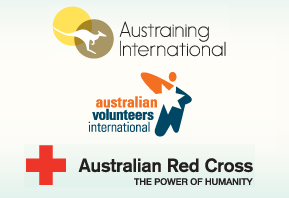 These resources are the equivalents of gold and copper in PNG and Solomon Islands. These marine resource-rich countries have large potential to increase the value they can extract from these resources. What is critical to extracting more value from marine resources is to strengthen regional cooperation, particularly as far as tuna is concerned. This reminds me of the excellent work Tom Kompas of the Crawford School and his colleagues have done in this area. They have shown that if PICs can collectively limit their catch of tuna to profit-maximizing levels, they could nearly double annual profits. Considerable progress has been made through the Parties to Nauru Agreement (PNA), but more can be done, including stricter enforcement of vessel-day quota limits and restricting illegal fishing. For PICs that don’t have immediate prospects to develop agriculture, tourism and natural resources, exports of labor services must be a priority. To be sure, labor service exports under seasonal worker schemes are already quite significant for several countries, notably Tonga, Samoa and Vanuatu. At a time when there are so many young Pacific islanders looking for jobs, these schemes can play a vital role in the economic and social development of PICs. A way to ensure the steady expansion of seasonal worker schemes over time is to make the schemes part of the PACER plus agreement. A development-oriented PACER plus that realizes the benefits of seasonal workers schemes would be a very effective form of development assistance. By now you will have realized that I have not been able to articulate a unique model of growth for PICs. To improve their growth performance, PICs need to do what other countries already do; that is, following their comparative advantage in pursuing outward-oriented growth. 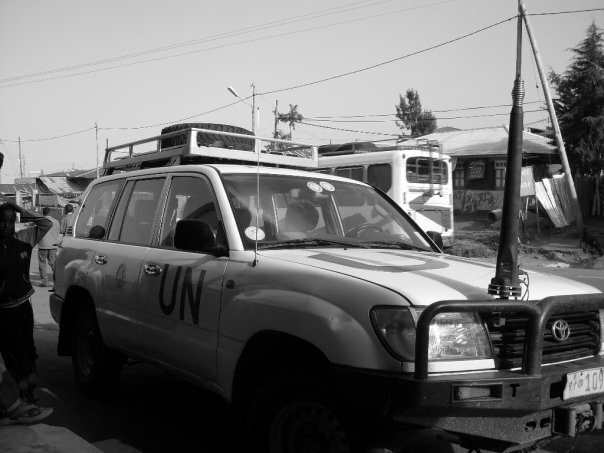 However, given PICs’ smallness and remoteness, it is more difficult for them to tap into their comparative advantage. Countries will need to work harder to find their market niche. In this context, it is critical that PICs ensure that their exchange rates are competitive so that their comparative advantage can indeed turn into absolute advantage and hence export opportunities. 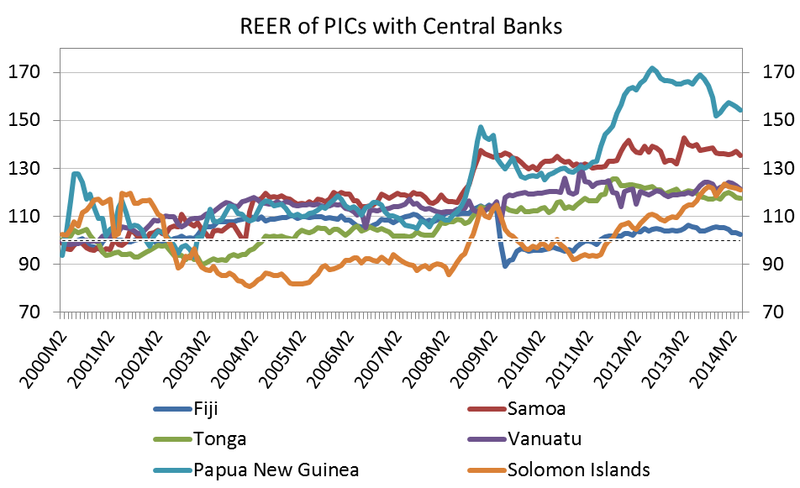 An overvalued exchange rate would easily lead to the drowning of PICs’ comparative advantage. 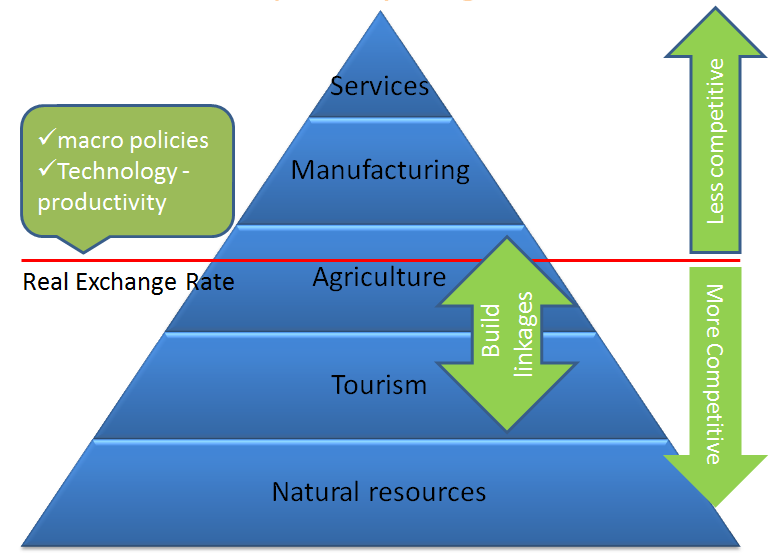 Given the small number of industries and activities in which PICs have a comparative advantage, governments and development partners could perhaps more strategically target resources to support necessary infrastructure and logistics to create an enabling environment for industries and activities that could become drivers of growth. This is a copy of Yongzheng Yang’s keynote address at the 2014 Pacific Update. You can listen to a podcast of his address, including Q&A, here. Yongzheng’s presentation slides are available here. My thanks to Yongzheng for an excellent presentation. I’m the current Economic Advisor to the Cook Islands, and many of the issues outlined above resonate for the Cook Islands. Between 2002 and 2012 our economy grew 58% in nominal terms, but only 10% in real terms. This masks significant variation though – real GDP grew 4.4% in 2012 (our most recent national accounts data). Tourism has been the major boom industry over the last two decades, with visitor arrivals more than doubling (mainly from New Zealand). For a population of under 15,000 residents, we receive around 123,000 visitors – meaning that during the peak season, around 1 in 4 people in the country is a tourist. The islands are still far from crowded, but the limitations you outline on the investment environment are likely limiting the growth of the industry (reliable industry data is difficult to obtain). For us, agriculture will probably always be a niche exporter due to labour constraints (not enough labour supply and a high reservation wage) and low productivity (especially compared to tourism). 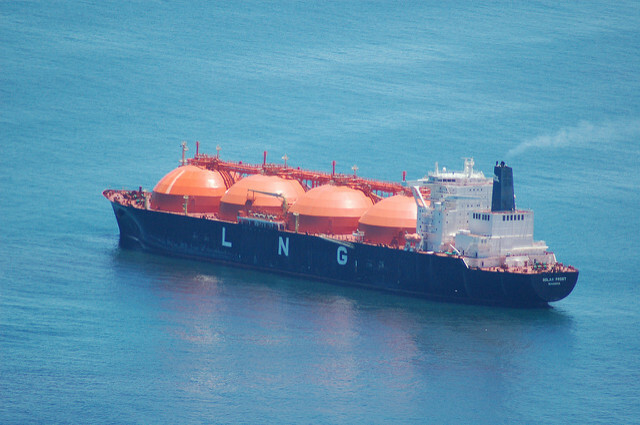 We are also extremely remote and have no deep harbours that could receive trans-shipments, meaning that shipping costs will also be high regardless of scale arguments. Labour services will also be a limited growth opportunity as Cook Islanders have New Zealand passports and have readily settled in New Zealand and Australia for work, education or other opportunities (moving as a family, and hence remittances are not significant, indeed we remit more than we receive). An aside on the currency: the scale of tourism is such that if we had our own currency, it would rapidly appreciate due to a huge trade surplus (reducing cost of living pressures through cheaper imports, but limiting tourism/export growth). There has been no evidence of inflationary pressure (with CPI inflation generally below 3%) and despite no central bank, money supply does not appear to be an issue (either too much or too little), although labour shortages may be combining with excess money supply to lift wages above productivity (evidence of this would be hard to prove either way though). I agree that the nations of the region need to look at their internal environments and make challenging reforms where bottlenecks exist (‘create enabling environments’). The small nature of what I term ‘nano-States’ (less than 50,000 people) mean that economies need to allocate their scarce resources even more efficiently than their larger peers, and where necessary, accepting that some things are better not pursued even when resources go unused (agricultural land being a good example). 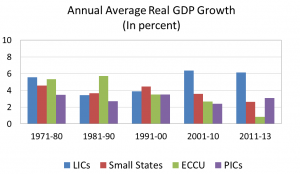 Given their status as nation-states, PICs need a sound macroeconomic environment. But given their size they need to focus on microeconomic reforms (‘nanoeconomic’ reforms?) that range from administrative issues and public sector efficiency, through to industry specific regulation, or even letting go of some of their long-held import levies. To succeed, the PICs need to have business environments that are world-class and entrepreneurs that are innovative and well connected. I guess my question would be: how different are the challenges in the Pacific to small remote communities in geographically large countries? Even with stable macroeconomic environments and greater connectivity, how have these remote communities performed if they don’t have a resident extractive industry? And on a slightly different tack: how can the PICs retain the top talent they need to make this happen, when their best and brightest are part of an international labour market that attracts greater returns elsewhere? 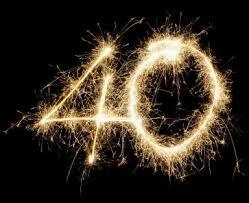 Kia, thanks for reading the piece and raising those interesting questions. I will need to think a bit more to respond to your questions properly, but here are a few quick thoughts. On the differences/similarities in challenges facing a Pacific island country and a small remote community in a geographically large country, the latter often has far deeper economic integration with the rest of the country than a Pacific country does with a major neighboring country. Goods and factors of production can flow without manmade restrictions, fiscal transfers are often much larger, and transaction costs are reduced by the use of the same currency. In many respects, this relationship is quite similar to that between Cook Islands and New Zealand. There are studies which show that non-sovereign states tend to do better than sovereign states, and the degree of economic integration is likely to be a key determinant of this difference. To enjoy high living standards, people in a remote community in a large country do not have to live and work there. Economic geography suggests that they are often better off moving to nearby economic centers. The existence of an extracive industry does not guarantee high living standards for everyone in a remote community. It is tough to retain talent in a small community. The real issue is whether brain drain of this type is good or bad for people who are left behind. Inbound remittances tend to mitigate the negative impact of brain drain, but what would be the counterfactual to brain drain for people who are left behind? This certainly deserves a PhD dissertation.